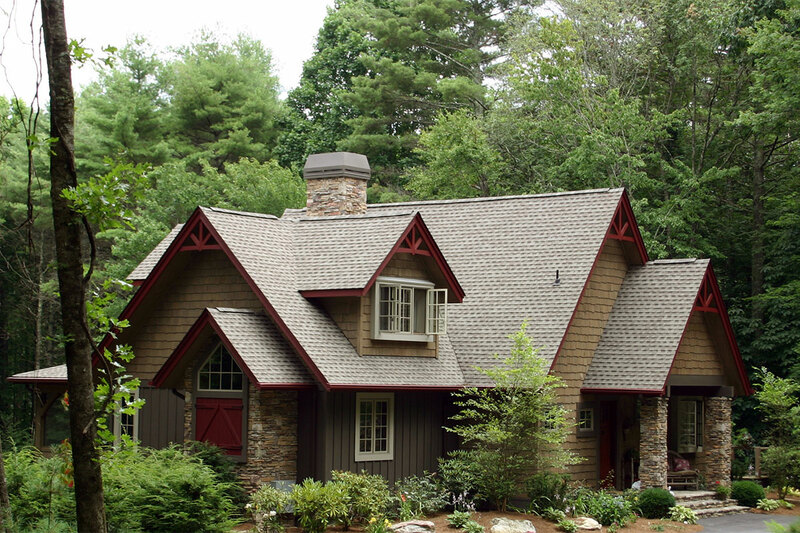 The cottage is almost identical in design to the acclaimed original design found at Fern Bank Cottage. 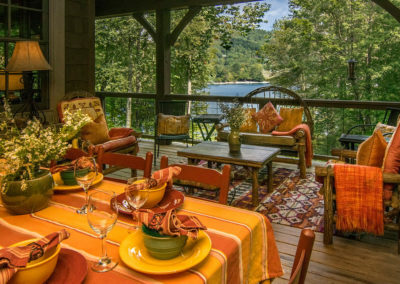 Fox Hollow provides perfect comfort for two, yet is quite spacious for many guests. 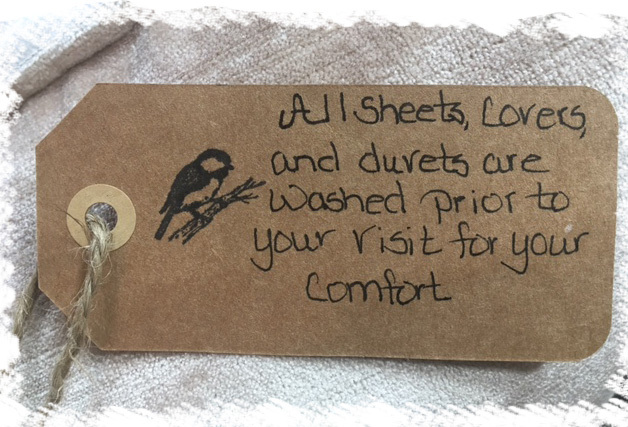 For this reason, our guests have found the cottage perfect for several couples or families, yet very romantic for two. 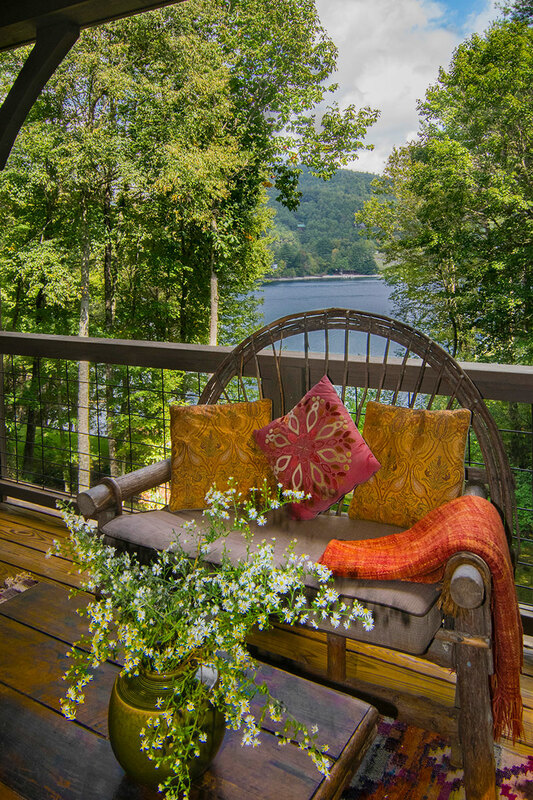 Decorated in the signature rustic elegance found among all four Lake Glenville cottages, the main level of the cottage provides all any guest could desire with cathedral ceilings, hardwood floors and stone fireplaces. 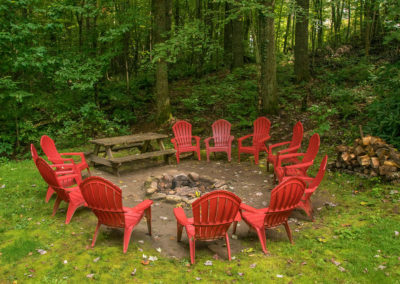 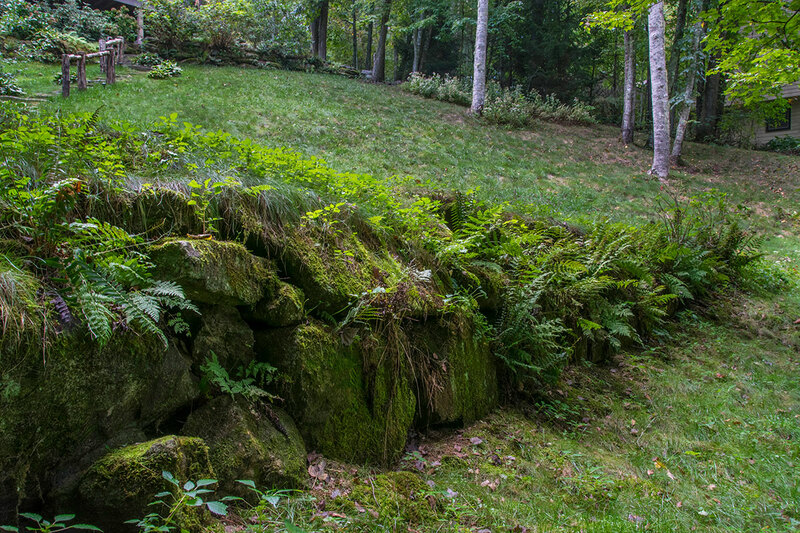 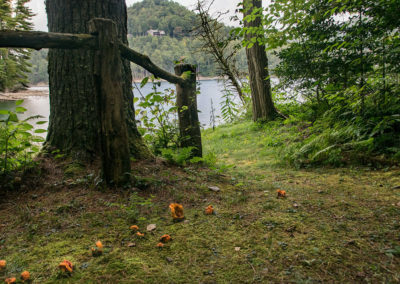 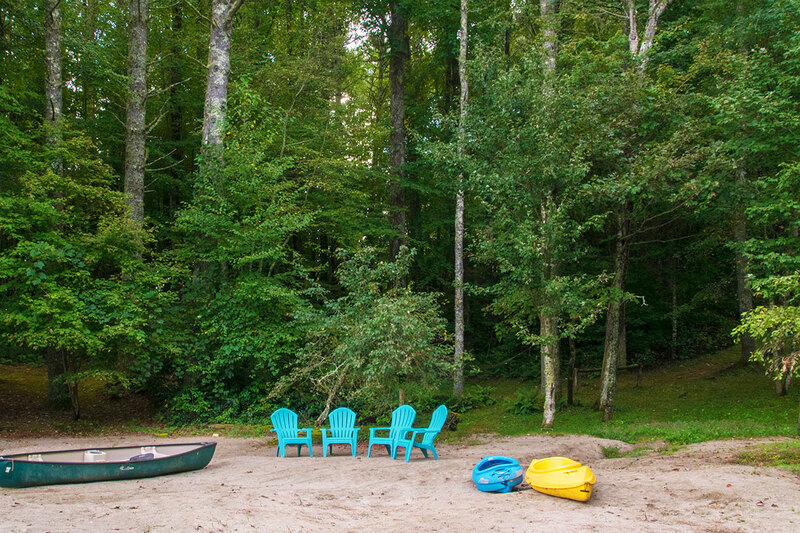 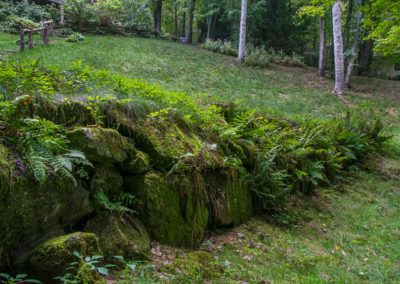 Close to the lake, nestled in a hollow among a thick forest of trees is Fox Hollow Cottage. 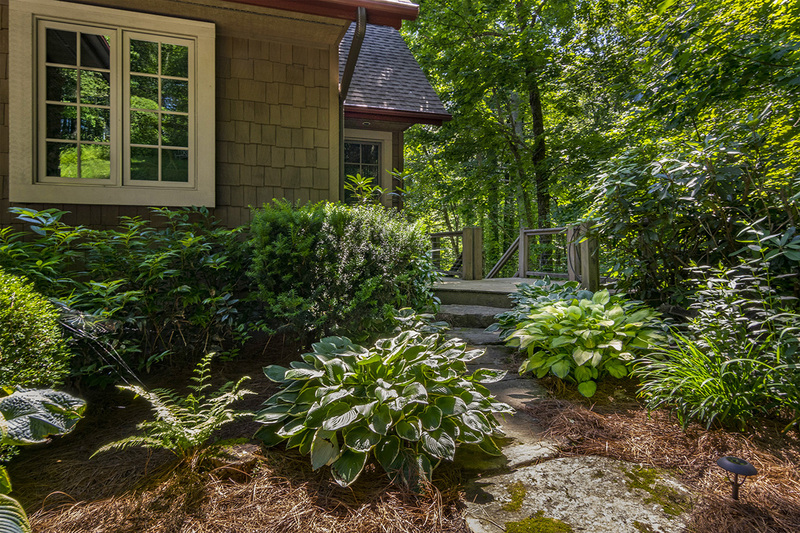 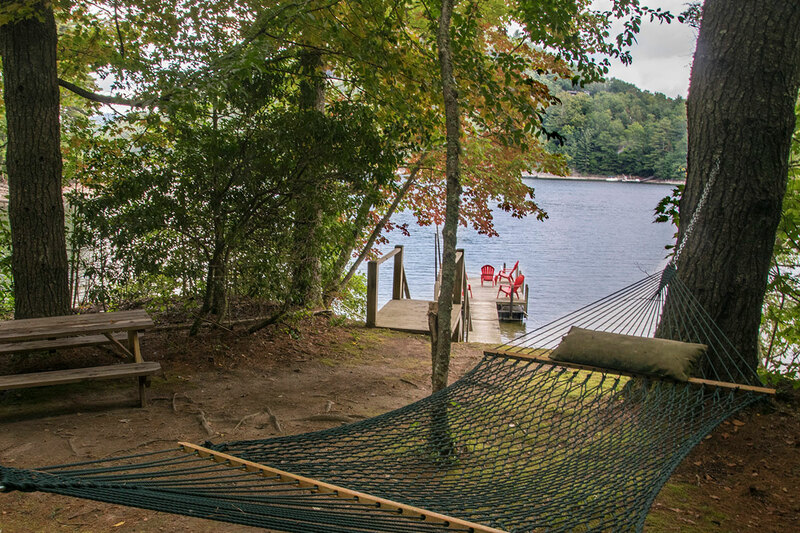 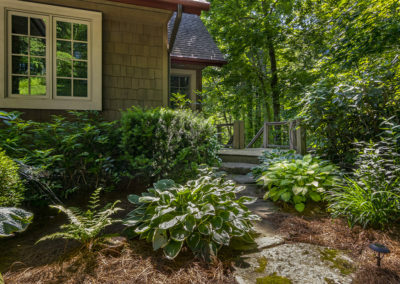 Every bedroom and living area in this spacious six bedroom, five-and-a-half bath cottage is graced with a spectacular Lake Glenville NC view. 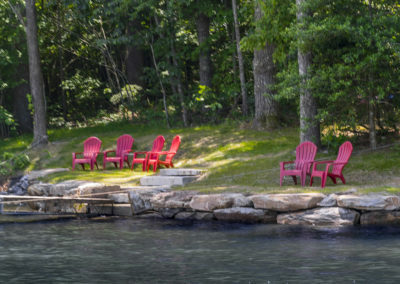 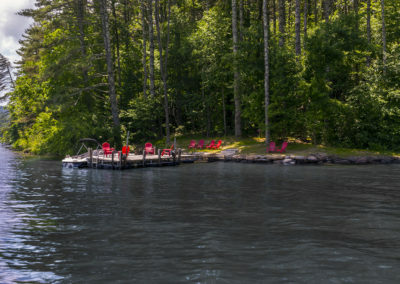 A private dock provides the perfect place for swimming, fishing and boating; a canoe is provided for exploring the lake and its waterfalls.and it’s waterfalls. 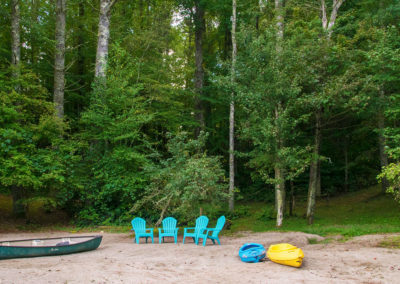 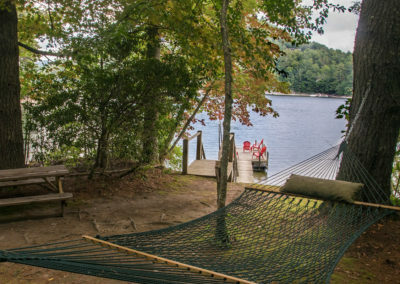 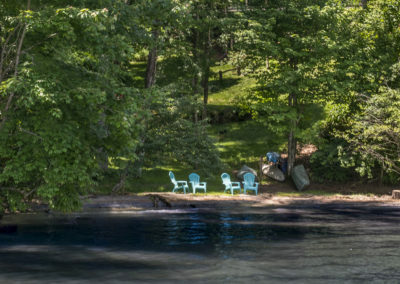 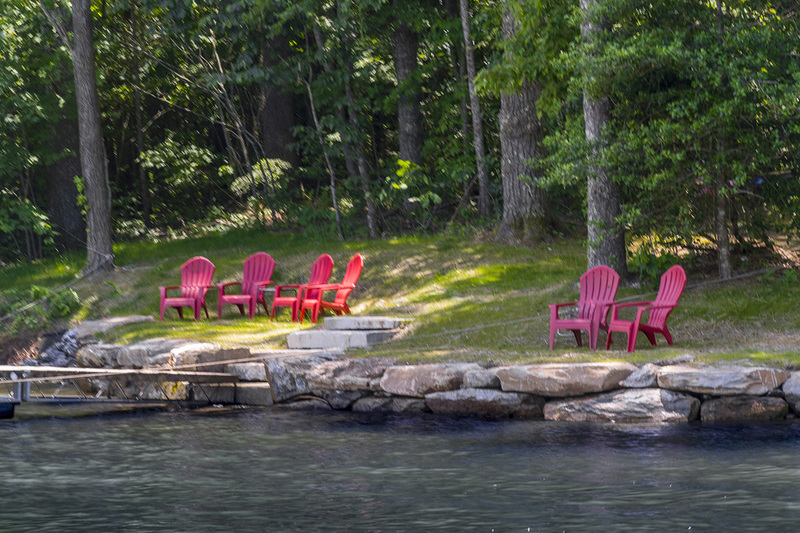 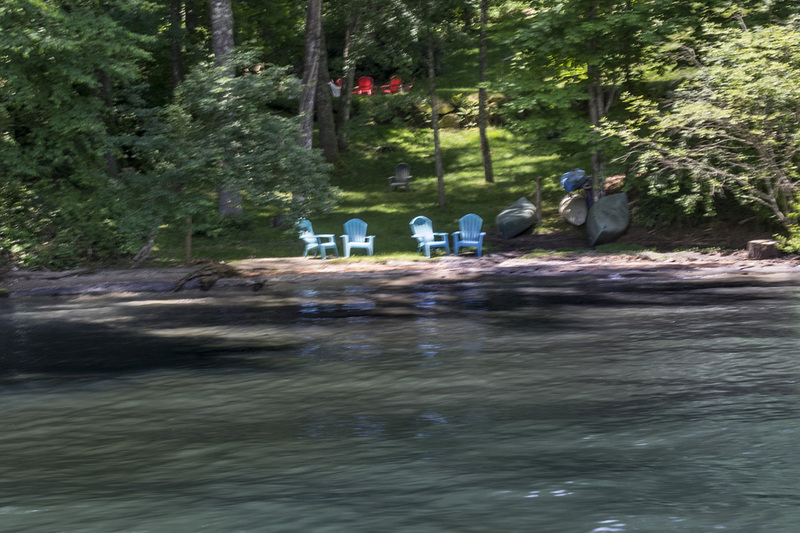 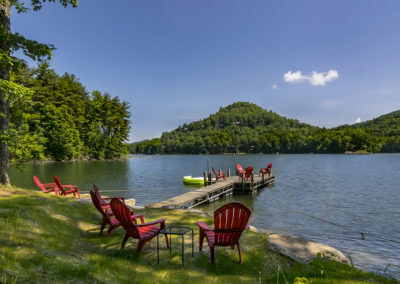 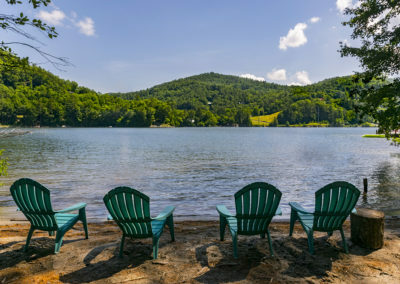 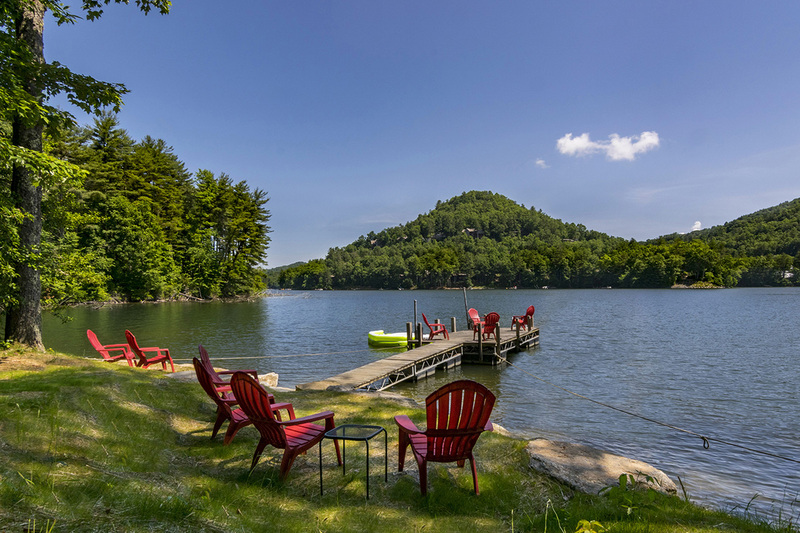 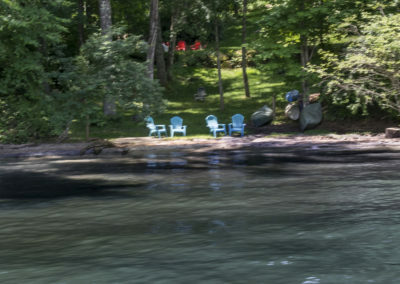 This property has a wonderful sandy beach, a rare find for a mountain lake. 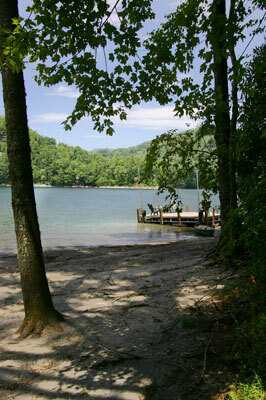 The lake and the beach were a big hit with our grandchildren. 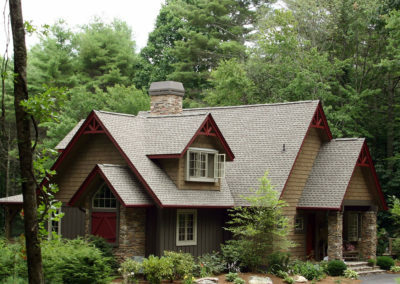 The whole crew loved Fox Hollow – absolutely drop dead georgeous! 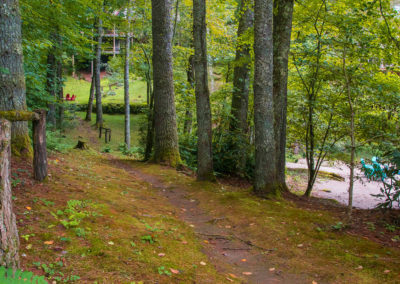 On a scale of 1-10 Fox Hollow is a 12! 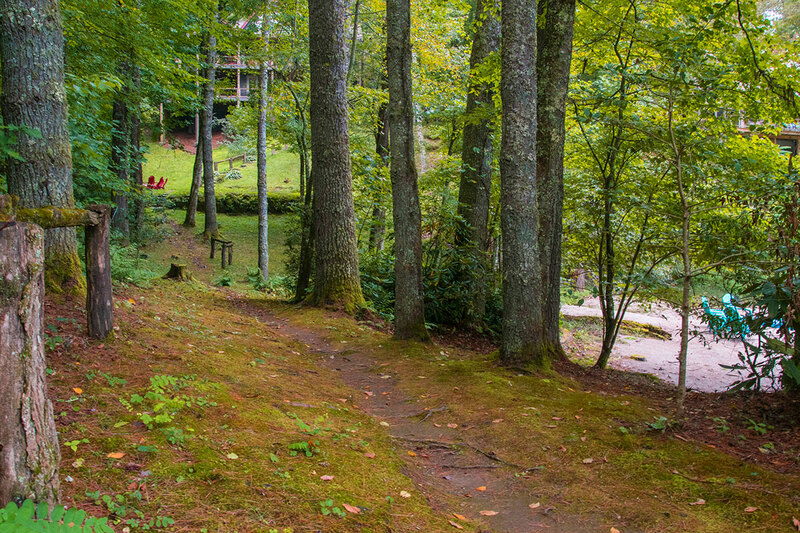 We were looking for the perfect mountain getaway, we found it in Fox Hollow. 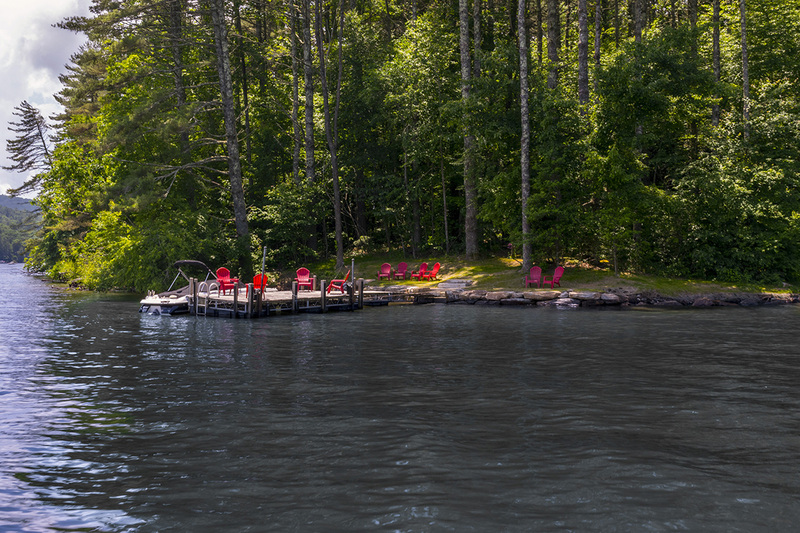 We had one of the most memorable vacations we have had in this neck of the woods in a long time. 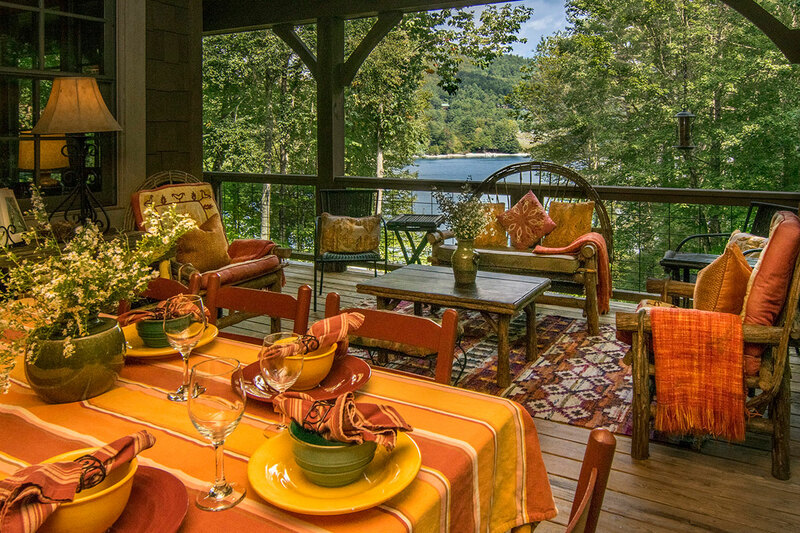 We will be talking about how perfect the house is for a long time to come. 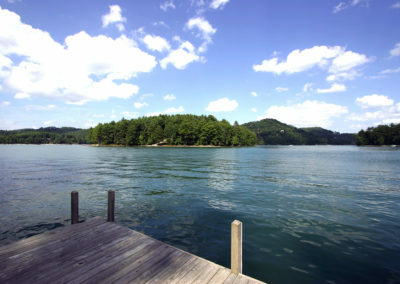 Awesome, awesome home and view. 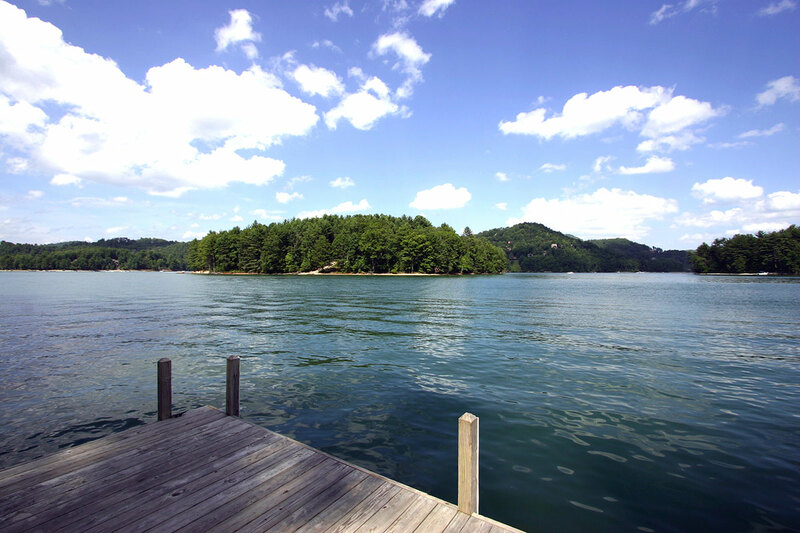 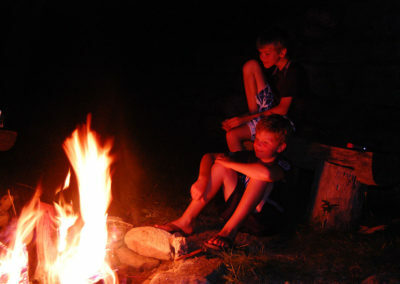 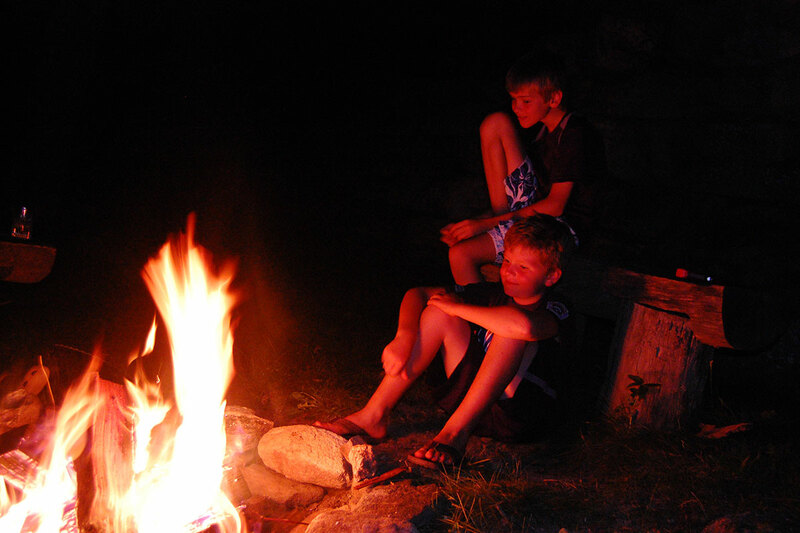 We loved everything about Fox Hollow, Cashiers, the mountains and the lake…my children were in heaven! Only a place like this could entertain a crowd of so many ages and do it so well! 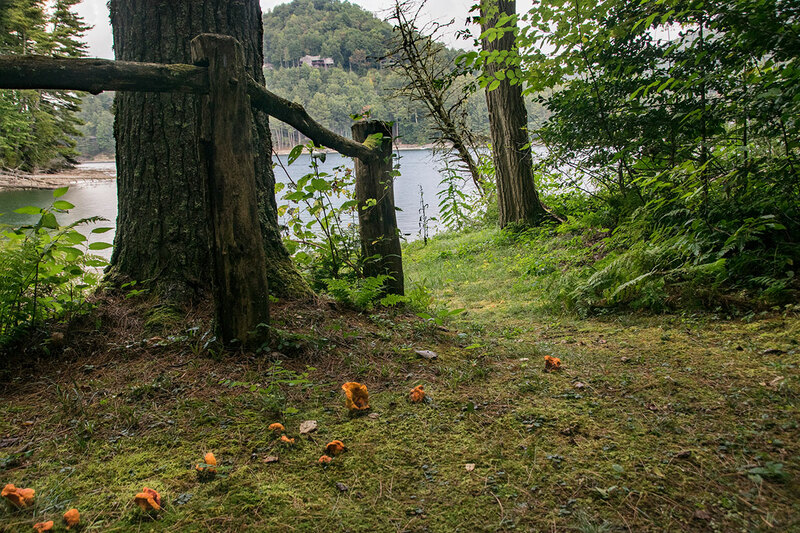 We each left hectic lives and escaped to the serenity of Fox Hollow. 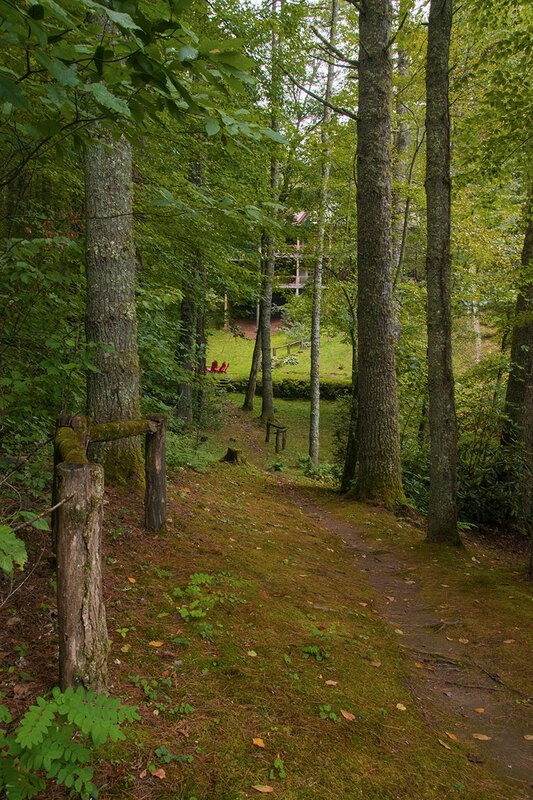 What made our time so restful? 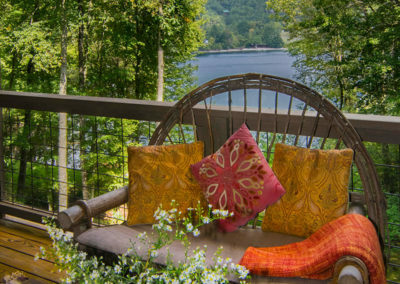 it was the little things: wild flowers in pottery vases throughout the house, cozy throws on every chair, bird seed for attracting feathered friends, a campfire site for s’mores, the canoe for paddling across the lake, the game table…..It was also the larger things: charming architecture, well laid out public and private spaces, wonderful windows, stone fireplaces, comfortable seating, beautiful rugs and floors. 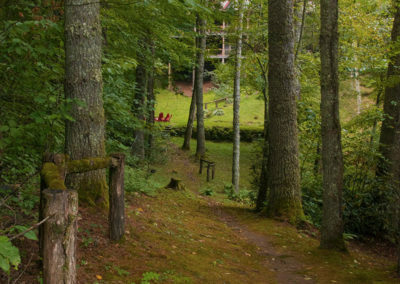 We all agreed that we are not ready to return to the hustle and bustle on Monday morning, but we are so thankful to have found this wonderful mountain retreat!